Hey, want a snapshot of Central America? We're kids in a parade, here, in Nicaragua. ...................... How can you have a society without police? Easy, by not creating crime. Humans instinctively follow custom ethics, avoiding harm to others in a healthy, natural society. Look at the Amazon Indians, (http://amazon-indians.org) they live happy lives without police or prisons, and, as one anthropologist observed, “spend half their life laughing”. Benevolent societies are altruistic, and the rulership consists of the most altruistic members of society. Individual human needs are taken care of so crime isn't created. None of the other bystanders who happened to be with me where the parade passed knew what occasion prompted the parade, but later someone told me it was to celebrate "dia del maestro". Well, maestro, magnificent job painting this face! Absolutely lovely, showing you don't need billion dollar school budgets to achieve quality. The whole parade showed a high degree of artistic excellence, and this by teachers who make $200 a month. But what do you do with criminals? Nobody is born a criminal. Crime is created by bad society, and it’s irrelevant WHO creates the crime. All crime is society’s symptom of a disease, and should be seen only as such. Since there are no outlets in modern society for most high-intensity people, (except as supporters of the repression in the army, etc.) they are forced into criminal activities. We must discard decades of agenda-TV leading us to see governments and police as good and ordinary people as bad and needing to be identified and punished for any abnormalities. 99% of all crimes are committed by governments. Misguided society is guilty for all crime, not the individual. Think of it this way; when you shake a table, the chess-men standing on that table will start to fall off. Is it important to identify the pieces that fall first? The identity of the pieces that fall is irrelevant. The problem is the shaking. A conscious society attacks the problem, not the innocent victims of the problem who you call the criminals. Love is the magic element. The solution to all problems is greater love. Everyone is happier. Only societies which ignore this truth and waste money on insane wars on drugs and other errors get caught up in the crime quagmire. NO-MIND edified, yeah!. You're Beautiful. But may I add just a drop or two of mind here: As an Aztec princess you have power to change things with your will. Just a bit of will would be good now and then, not always. And, uh... that bodyguard or first minister at your side... looks just a bit too scared for the post. How can you solve a problem with greater love? Every problem is just a manifestation of lack of love. Example: say bad people crash airplanes into big buildings. The correct and natural response is to say “woah, we have really offended someone, we must stop offending”, to become more loving so it doesn’t happen again. But neither the perpetrators nor the responders here are acting naturally. Both are victims of badly-programmed mind. The one holds on to the lie that there is nothing more serious than an insult to Allah, and such blasphemy must be punished with death, and the other falsely think that you solve problems by bombing people. Both these attitudes are false, and they don’t work. They only seem normal because they’ve been repeated so long in the mainstream media in both societies. Lovely parade. You are absolutely beautiful. Did you know billions of dollars are spent every year in "advanced" countries trying to get back to minds and bodies just like yours, thru meditation, plastic surgery, etc. And most of them don't achieve it. You have it, you are better than them. Benevolence is destined to surpass and replace the present system because it is more sustainable. It’s the least wasteful social paradigm there is. Happy, relaxed people are more productive. Benevolence is the art of eliminating stress, while police states create stress. Presently in USA there are around 18 million arrests annually, according to crime statistics in the world almanac. That’s 5% of the entire population locked into jail cells every year. This causes colossal loss and pain which only exists because it goes unseen as the nation´s minds are cemented by two generations of relentlessly programmed TV shows specifically designed to conceal it and falsely justify it. Families are destroyed, children become fatherless, depressed, derelict, thousands commit suicide, a lifetime of work is lost in a single day for a great many of these 18 million. A nation that has this waste going on in such a massive scale cannot thrive; nature can’t sustain such mammoth waste. As the USA corrupts and dies, leaner, waste-free systems will replace it. Benevolent societies look for the good in each person, not the bad, and put that good to work. Crime-creating societies will be replaced by kindness-creating systems. It feels better to be kind. By choosing benevolence we eliminate crime. It would be a huge spiritual step for humankind, and we at the earthgardens are putting it into practice with amazing results. Benevolence means altruism rules, not vandalistic warmongering. Leadership is an elegant art form; leaders are artists, experts in the art of preserving joy and beauty in society. Visitors to the gardens notice this beauty above all else. Benevolence is a different social paradigm than capitalism or socialism. It amounts to all of society improving, not just a few billionaires. It allows rich people to take others with them into wealth, choosing the way they want to improve things. Free capitalism will thrive in this second, benevolent, waste-free phase. But the most notable change brought about by benevolence is the elimination of all social cancer: police, prisons, man-hunters and repression from the top down. Social discipline comes from the bottom up, as nature intended, and is the essence of education in the first 6 years of life, with all members of society contributing. The leadership demonstrates the power of LOVE in solving all problems, and the fortitude to prevent the tyranny of mental contamination. 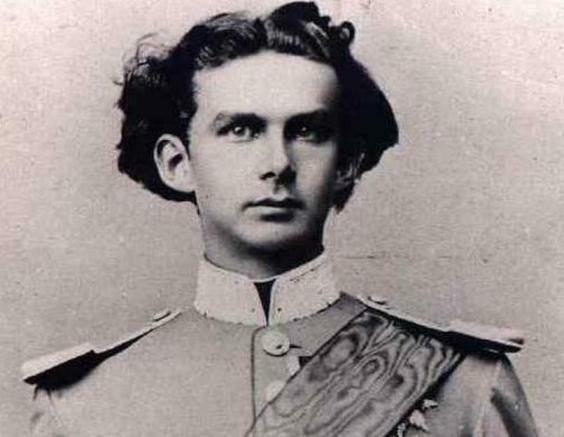 Ludwig II of Bavaria. One of the greatest kings of all times, and a truly benevolent monarch. A sane mind in an insane world, unfortunately. His society wasn't ready for a king who loved beauty and benevolence instead of the usual pomp and warfare. We honor and love you, Ludwig. (Often called "Mad king Ludwig"). Let there be more kings like you. 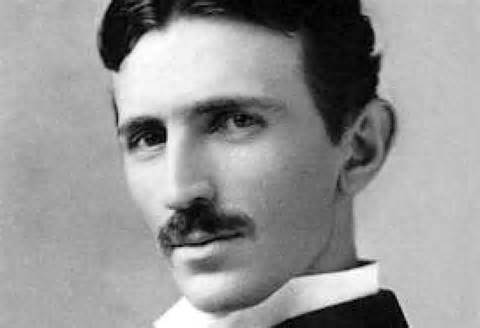 Nicola Tesla, a benevolent inventor, wanted all electricity to be FREE to all humanity, but was attacked and his brilliant systems destroyed by the corporate MONEY LOBBY, so we have billions of poor people today paying so much for their electric bill they can't afford to eat well or send their kids to school. 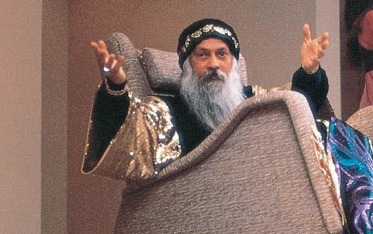 Osho. A great thinker graces America with wisdom and benevolence, with a soft and elloquent message just what the war-making nation needed to hear to rise to a higher spiritual level. Only to be sabotaged and attacked by local rednecks and thrown into jail by mediocre minded politicians. A huge loss for America and the world. back to the list of links and girls' pages: The Earthgardens paradigm for benevolent societies.